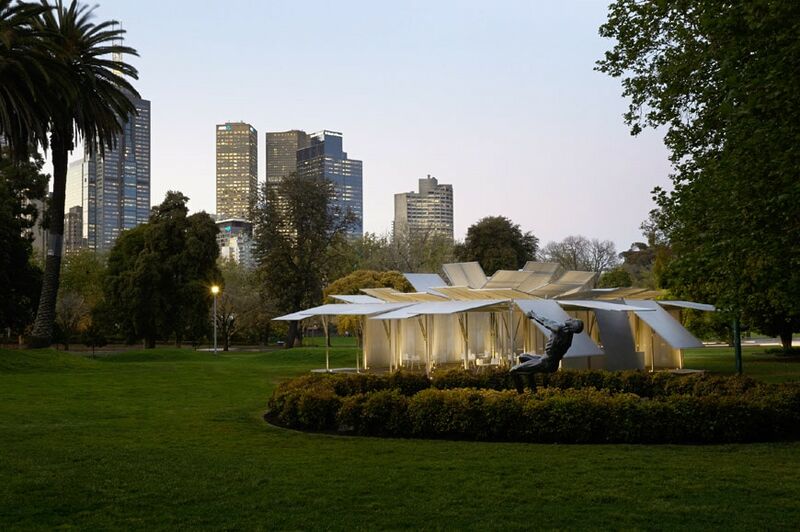 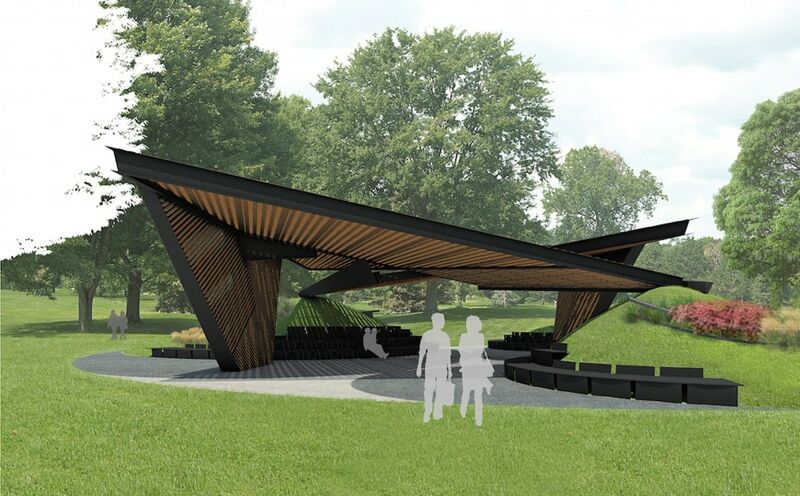 Designed by Spanish architect Carme Pinós, the MPavilion 2018 will be installed in Melbourne’s Queen Victoria Gardens from October 8, 2018, through February 3, 2019. 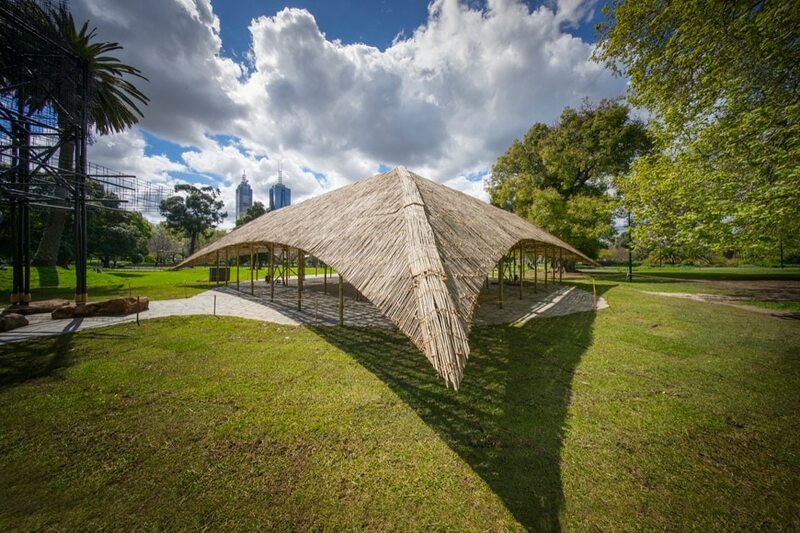 Since the first MPavilion, designed by Sean Godsell in 2014, each year the Naomi Milgrom Foundation commissions a different international architect the design of a pavilion to be located in the Gardens with a view to create “an innovative civic space, a cultural laboratory for the community to engage and share, and a bold architecture commission for Australia”. 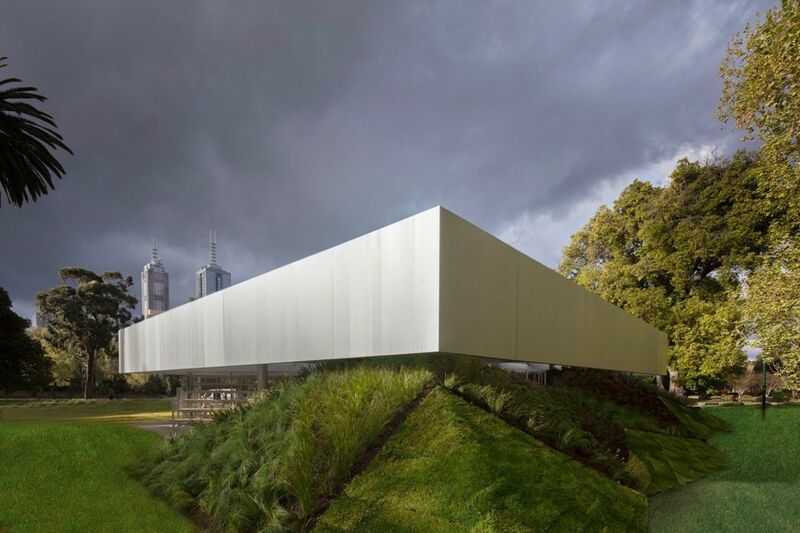 Along with Godsell and Pinós, architects who designed the pavilion in the past comprise Amanda Levete (2015), Bijoy Jain of Studio Mumbai (2016), and Rem Koolhaas / OMA (2017). 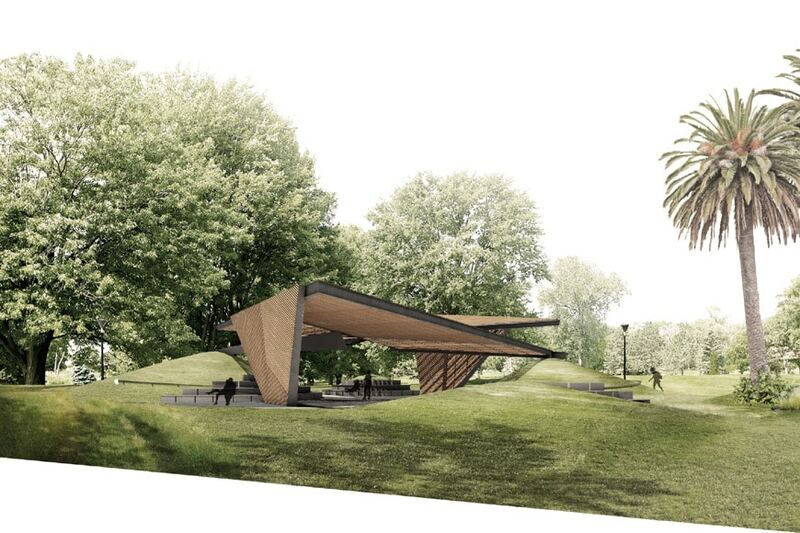 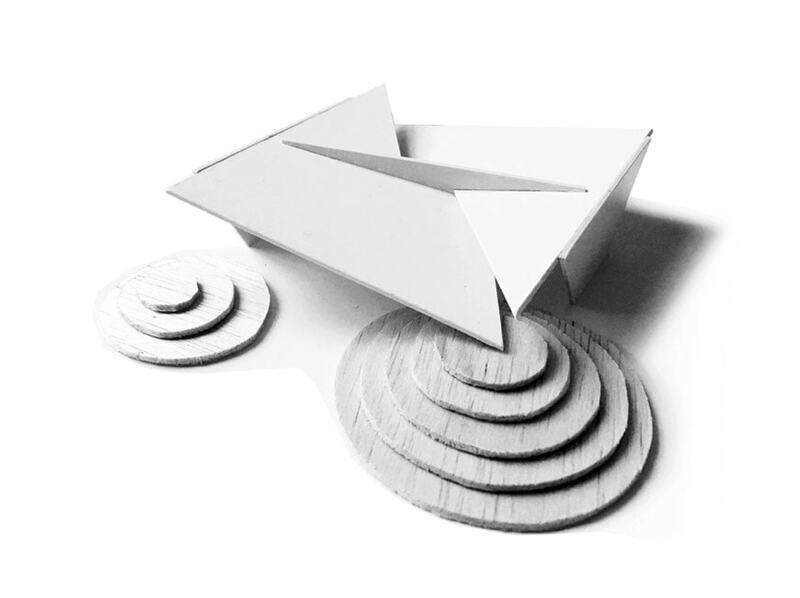 As some recently-released renderings show, the pavilion by Carme Pinós is characterized by a sequence of thin triangular planes, set at an angle and made up of steel profiles and wood latticeworks. 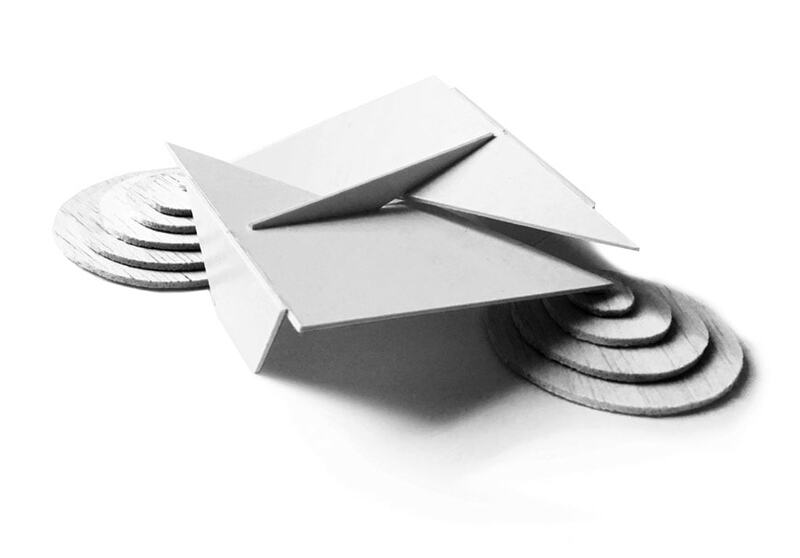 Overall, the construction resembles a sort of giant origami leaning in a precarious balance on two small grass-covered artificial knolls. 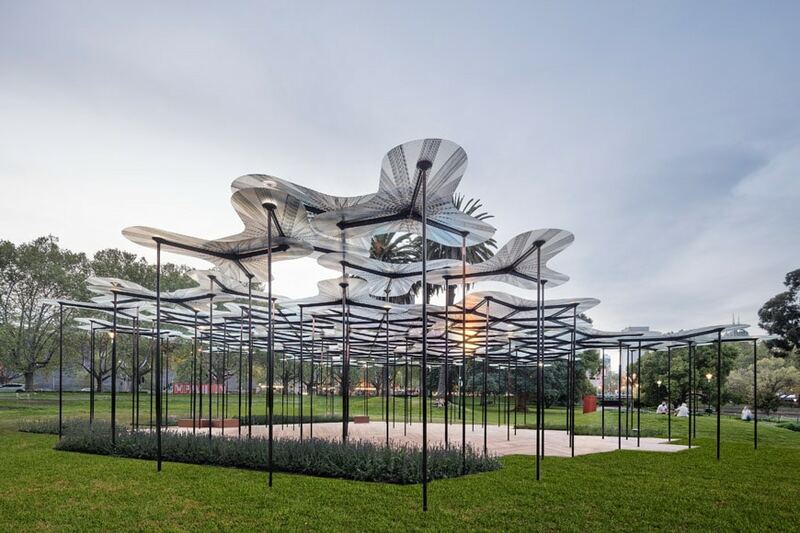 Pinós conceived the structure to be at the same time a sheltered space for activities and a relaxing place open onto the gardens. 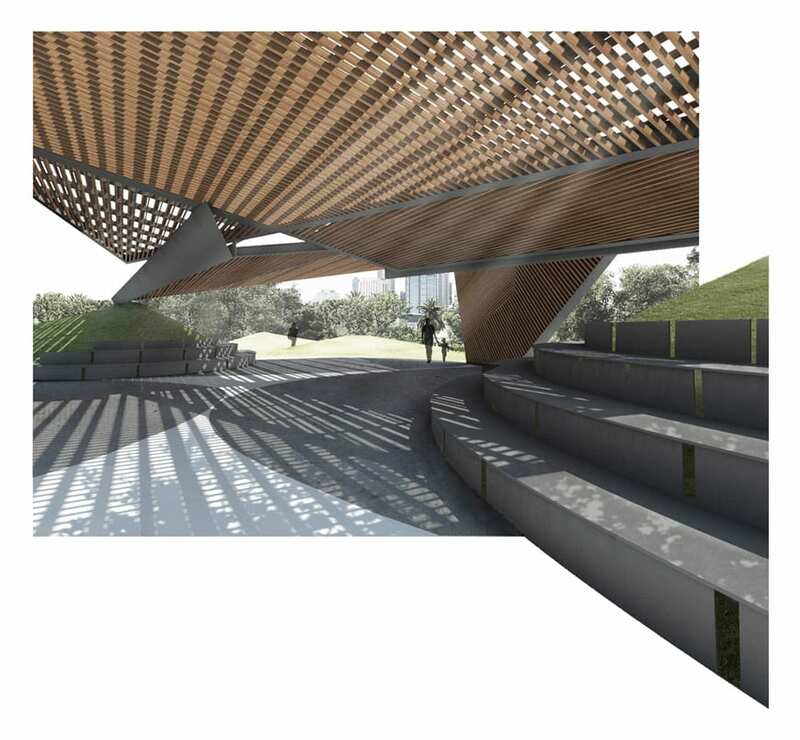 The intersecting surfaces which made up the pavilion reflect and symbolize its scope, namely to be a social catalyzing space where different people coming from different directions will meet, talk together, play music for the passersby, or make an impromptu art performance; all with a casual attitude and in a very natural way, as Carme Pinós says.